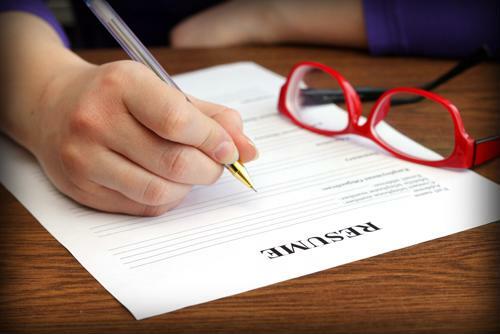 Just about any job listing today is going to attract a lot of interest from applicants. The question, then, is how even a qualified candidate stands out from the crowd. One way to do it is to use so-called power words that can really catch a hiring manager's eye. One of the most important things employers look for is how much you care about the work you do, according to The Balance Careers. If you can show that you're heavily invested in not only getting the job done, but getting it done well, that could go a long way. There's always a place for people who think outside the box, The Balance added. Talking about the ways you've helped your company grow with a unique approach can help you stand out. The Balance further said it's smart to include action verbs that highlight your professional accomplishments. That means not only saying what goals you met or surpassed, but also providing specific statistics that help show your mettle. Companies also want to see that people who have been in their industries for a long time are growing in their roles, according to The Muse. If you were able to improve your job skills in some way, noting those changes will help you be more noticeable. Businesses are always looking to improve their profit margins, and if you've helped another firm do so, that can make you an ideal candidate, The Muse added. Be specific about how you aided in cutting a company's costs or improved efficiency, and you're more likely to get an interview. If you helped push decision-making in the right direction at an old employer, that could show off your cutting-edge thinking for a prospective employer as well, The Muse noted. Any role you had in bringing your company into the next generation of work should be highlighted. Along similar lines, if there are any successful programs for which you were instrumental in getting off the ground, potential employers should know about it, according to Glassdoor. Here, too, specificity is key, but it's always important to highlight any projects you had a top role in. Businesses always have a need for leaders, and using the same old vague words about leadership are obviously a staple of most resumes. Shaking things up a bit and finding interesting new ways to say - and show - you've been a leader for some time will certainly help your resume stand out from a crowded field of applicants. Value is what businesses run on, and you need to be able to demonstrate why you ultimately bring it to the table, Glassdoor added. Of course, the whole point of a resume is to show why you provide it, but including the word specifically helps show that you understand exactly what your professional accomplishments meant for your previous employers.